One day in 1741, British naturalist and litterateur Gilbert White (1720-1793) had a revelation. An outdoorsman since childhood, he had spent his school years exploring southern and central England and, in hunting, found a sense of the natural world as an encounter filled with mystery and beauty. But this day was different. "...During the routine of ‘field-diversions’ White experienced an event that was to shape his future and eventually lead to the single work for which he is so well known, The Natural History and Antiquities of Selborne (1789). "But a deeper magic was at work and White's devotion to hunting received a considerable shock. Gratuitous killing (even for sport), he came to realize, was alien to the purposes of Providence, and although he continued to shoot for the table and, later, to provide specimens for identification and dissection, the thrill of the chase and the deceit of the stalk were to be replaced in his maturity by a spirit of enquiry and the outcomes of scientific curiosity..." (Oxford DNB). 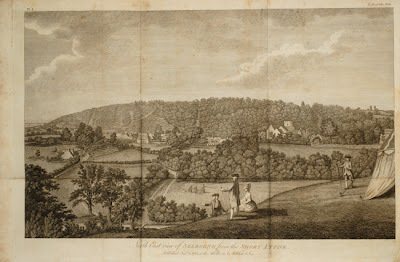 For the following forty years until his death in 1793 White kept a near-daily diary of his gardening activities, garden produce, culinary satisfaction, and of natural phenomena he encountered. 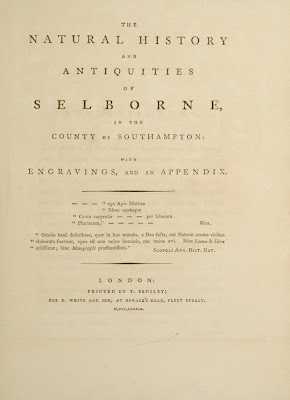 With the help of his nephew Benjamin White, proprietor of London shop purveying natural history books, he published his life's work, The Natural History and Antiquities of Selborne, a compilation of forty-four of his letters to Thomas Pennant, the leading British zoologist of the day, and sixty-six letters to the Hon. Daines Barrington, an English barrister and another Fellow of the Royal Society, on November 1, 1788 (but dated 1789; under contemporary British law volumes available in the final months of the year were permitted to carry the date of the following year). With this, his major work, published, White was elevated to fame. The Natural History and Antiquities of Selborne, enthusiastically reviewed in the Gentleman's Magazine and in The Topographer, brought White well-deserved acclaim. 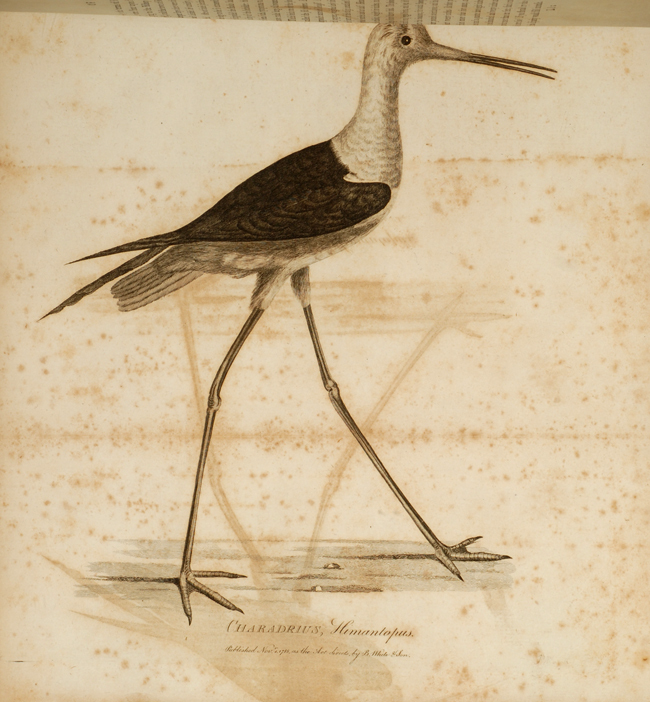 His greatest achievements were, arguably, the examples he set for his contemporaries and to posterity as a predator of nature's fauna transformed to its protector and thus redeemed in the eyes of God and Creation, and as a proto-ecologist: Hunting, for anything other than providing food for the dining table, is immoral, and all plants and animals in a prescribed area form an environmental community within which each is dependent upon the other for survival. 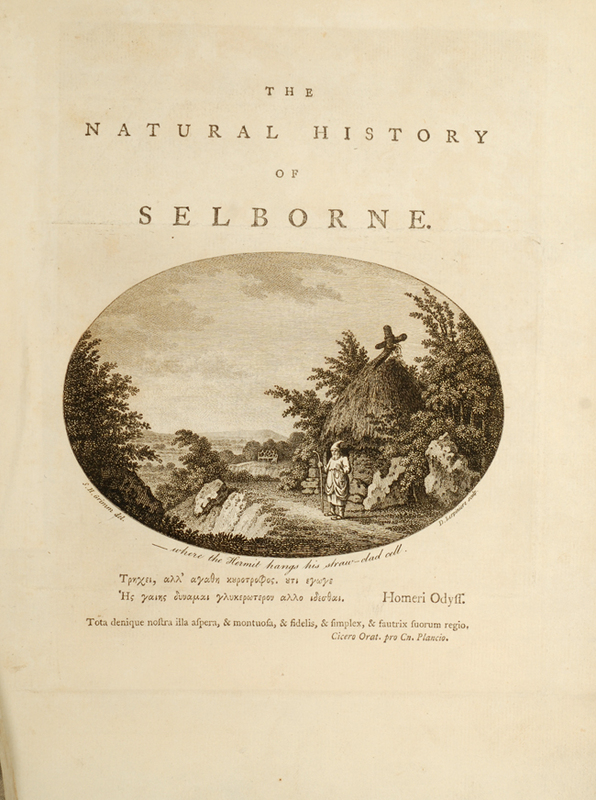 The Natural History and Antiquities of Selborne has been continuously in print for 222 years since its initial publication, with 300 editions issued through 2007. WHITE, Gilbert. 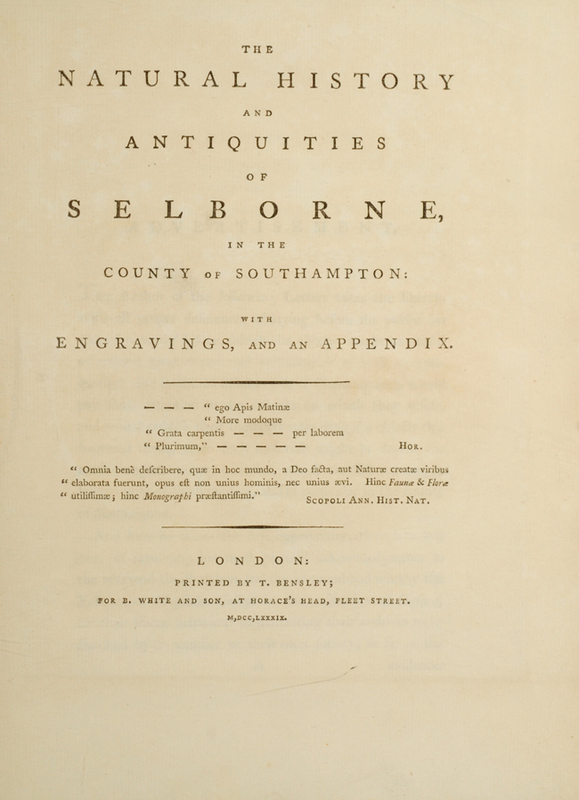 The Natural History and Antiquities of Selborne, in the County of Southampton: With Engravings, and an Appendix. 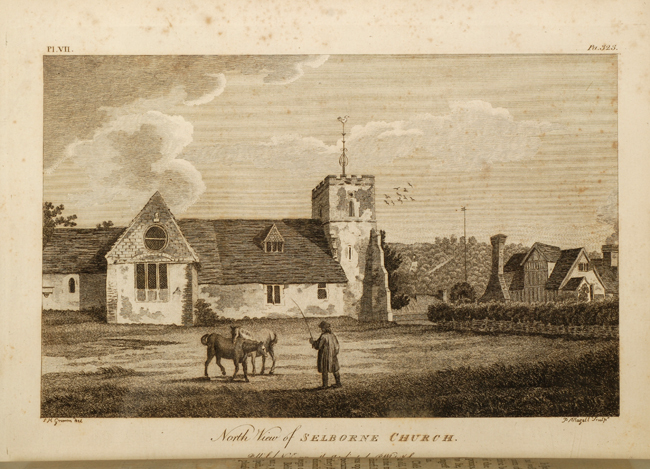 London: Printed by T. Bensley for B. White and Son, 1789. First edition, complete with errata leaf. Quarto. (9 7/8 x 7 1/2 in; 253 x 190 mm). v, , 468, [12, Index], [1, errata], [1, blank] pp. Page 292 misnumbered 262, and pages 441-442 omitted from pagination. Folding engraved frontispiece, engraved title vignette, and six engraved plates (one folding). Martin 90. Rothschild 2550. Grolier English 62 . Very interesting. White's notebooks are also well worth reading and the adventures of his tortoise Timothy have inspired several writers. However, as his dates- 1720-93- make plain, his whole life was spent in the eighteenth century, not the nineteenth.